The daily deals site Woot has another eReader on sale today. 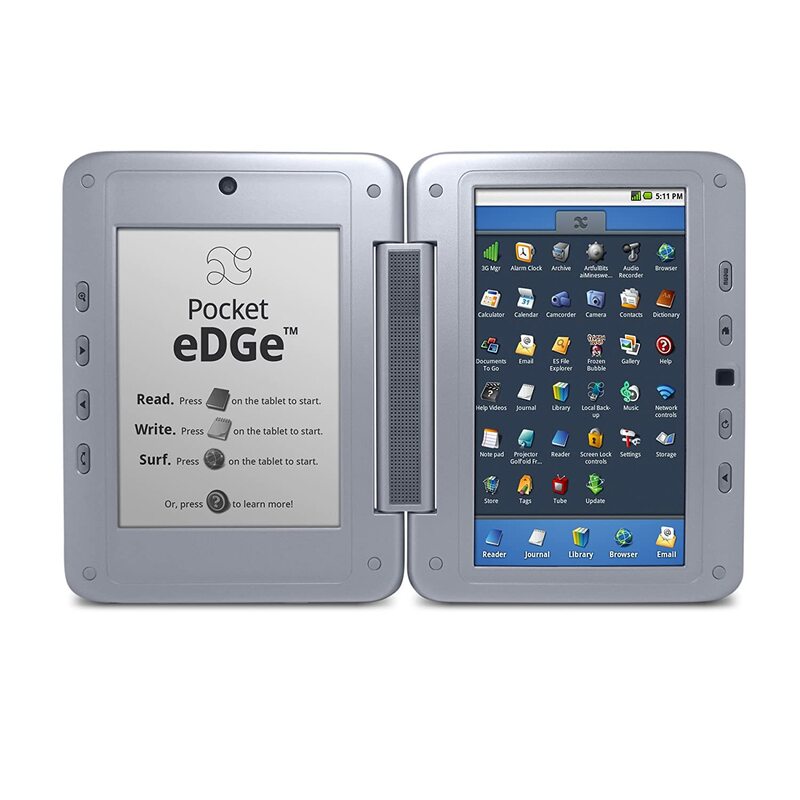 The Pocket Edge is the second dual screen device produced by Entourage, and it has a 6″ E-ink screen on one side and a 7″ LCD screen on the other. Both screens have touchscreens, and it has Wifi, Bluetooth, a 2MP camera, speakers, microphone, and a microSD card slot, and 3GB Flash storage. Both the hardware design and the software features were very carefully chosen so the Edge would work well as a digital textbook platform. It might also interest anyone who needs to take a lot of notes, collate them, then attach and organize files. I’ve had my hands on the larger version, and I think it’s the best textbook platform short of a laptop or the iPad. P.S. While you’re at it, I would also get the warranty extension from Squaretrade. It is significantly cheaper than the repair cost of the E-ink screen. P.P.S. If you miss this price you can still get the Pocket Edge on Amazon.com, where it is retailing for $200.